Following a, some what, unorthodox route into modern classicism, the Birmingham (‘born and bred’) solo pianist Rich Batsford‘s history lies in both comedy – as a booking agent and organizer in stand-up comedy – and in performing tribunes to Beach Boys, as part of a covers band. 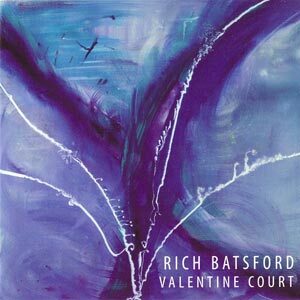 First released back in 2009, his blossoming, mellifluous debut ‘Valentine Court’ shows Batsford to be a rather deftly-skilled assiduous ivory-tickler; imbued with the class of such notable luminaries as Michael Nyman, Steve Reich, Sakamoto and Peter Broderick. Absorbing these influences with meticulous care and attention, Batsford glides across the piano sculpting beautifully laconic scenes and plaint melodic expressions of thoughtful reflection. Every song has an emotive timbre and pull; those fluttering waves of shifting melodies run freely over the deep reverberating bass notes, conjuring up many images of TV drama-esque sweeping hillsides and windy moors. From brief fleeting poetic vignettes (‘Lyndall’) to displays of lovelorn counterbalance (‘Namaste’), the notes cascade, illuminate and resonate with a real intimacy. Similar leitmotifs appear throughout with excursions into quasi-silent age Hollywood (‘Completion’), Cathey Pacific orientalism (‘Ralph’s Trip To The Orient’) and lamented boogie-woogie jazz (‘The Cello Song’). Batsford’s synthesis piano compositions remain teetering on the edge of – what you might call – avant-garde classicism, but with an ear for a good tune that never threatens to lose the listener.